Every business wants to grow their customer base who come back again and again and are ready to share their experiences with everyone they know. It makes sense as Loyal Customers are the best win for a brick and mortar business. It costs five times as much to attract new customers. In today’s digital era, consumers aren't turning to online marketplaces because they dislike any shop or because they like another brand more. In many scenarios, customers just want a more convenient experience that's personalized for themselves - one that engages them. Businesses should start building on that customer loyalty to see a positive change in customer lifetime value and their bottom line. Loyal customers are rewarded and businesses increase sales. Starbucks Rewards, a loyalty program launched by Starbucks has been one of the most successful implementations of a loyalty and customer retention strategy. It has been instrumental in propelling Starbucks to $22 Billion in revenue and a market cap that exceeds $67 Billion. Best Buy also turned to customer loyalty after experiencing stagnant revenue growth year after year in its stores. It helped to double the company’s stock. A repeat customer spends 67 percent more on a given purchase than a new customer does. 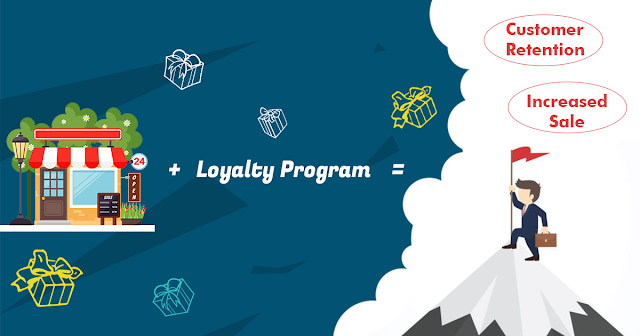 By providing loyalty programs for current customers, businesses are not only saying thank you but are also motivating them to continue to be their brand ambassadors. They can easily spread the word about a business to their personal and social networks, helping businesses increase their customer base even more. It can be difficult for a business to compete with a large brand considering that most large brands have more resources, marketing fund, better locations and the ability to offer lower prices. However, a good customer loyalty program is an easy way for businesses to show their special side and remain competitive in spaces dominated by big corporates. For example, many consumers may not love burgers at a big-brand burger chain but do love the fact that they can earn points through their purchases and save money in the long run. However, it would be very simple and cost-effective for a restaurant with a quality burger to do the same. Customer loyalty programs don’t drain businesses’ budget. While corporations spill millions of rupees into loyalty programs, businesses don’t have to follow the same tactic to achieve promising results. In today’s mobile era, cost-effective digital rewards programs are just as fruitful as the ones put in place by bigger players. Winggz, a digital loyalty platform, enables businesses’ customers to earn points on their purchase. Businesses no longer have to waste time and money on printing marketing items when they are using digital customer loyalty programs. More importantly, they’re making it easier for their customers to keep using their service.